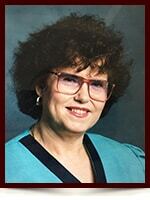 Maria Rosalina Botelho - Edmonton's Burial & Cremation Professionals | Trinity Funeral Home Ltd. Surrounded by her loving family, Maria Rosalina Botelho passed away on July 27, 2017 at the age of 78 years. She is survived by her loving husband of 55 years, John; two sons: Albert and Danny (Alzira); her brother John (Maria Carmo) Melo as well as many relatives and dear friends. She was predeceased by her parents Joao and Liduina; her sister Valdmira and her brother Eduardo. Thank you mom for all your love. our condolences & sympathy in the loss of our neighbor of 39yrs. We will miss her dearly. Our condolences to the family its always a difficult time when you loose a loved one, she was a very nice person. May she Rest in Peace. Os nossos sentimentos a toda a Família enlutada. Que Deus vos deia muitas forças.